Built-in microphone in a modern laptop is a huge advantage compared to older computers, when the microphone had to buy to connect it to the computer and put next: extra money, extra time, extra space. But the built-in microphone is also sometimes not included automatically. How to deal with it? First of all, check if your laptop microphone in principle. Actually, now 99% of the laptops are manufactured with built-in microphone, but the check will not be superfluous. To do this, inspect the body of the laptop and read the specification. In the documents to your notebook is sure to be written, it has a built-in microphone or not. Be aware that if your laptop has a web camera, the microphone, there is a certain. The microphone can also be seen through "device Manager". Check and microphone settings via the control Panel of your laptop. In control Panel open the "Sound", "Recording" tab, if the MIC built into your computer, it will appear there. Click "Properties". Is it turned on, the device settings on the tab "Levels", "Enhanced" "Advanced". If the microphone as a device is present in the control Panel, but have still not heard, maybe it's the fact that it's set in a very quiet audio. In this case, it is necessary to increase the sensitivity of the device. Again, go to control Panel and open "Sound". Open the menu item "Properties" from the device Microphone. In the Advanced tab, check the options "Allow applications to use the device in exclusive mode" and "to give priority to applications in exclusive mode". Then put the highest bit depth and sample rate. Try after that to test the microphone. If everything is in order, your voice is clearly heard, it means that you have configured the device correctly. If you are still not heard, try again to change the bit depth and frequency. Please note that this problem can be also in amplifying the sound, which is regulated under the tab "Improvement". Built-in laptop microphone simplifies communication. However, on a par with facilities provided there is a lot of problems setting up this component. 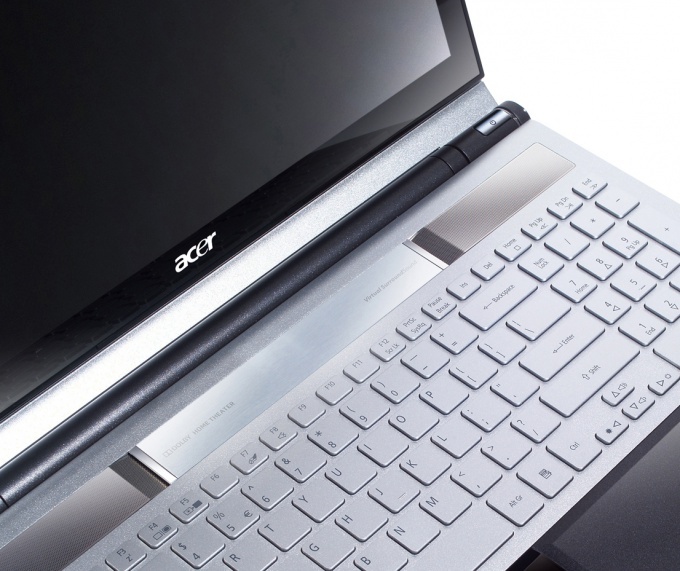 The most complex settings of the microphone the famous laptops brands Acer. Go to the Acer laptop to the tab "Sound". For this in control panel in the right corner click the icon to configure the sound (most drawn by a speaker). The screen will open a dialog box with multiple tabs. If the icon in the control panel there, click the "start" button. Select "settings" and then "control Panel". In the opened window, other settings, search for "Sound equipment". This module can have a different name depends on the operating system of your laptop. Go to the tab "Recording" - it is responsible for the built-in microphone. If it is, you will see the appropriate icon. Click on it or click Properties. In the opened settings window, the microphone check that all parameters have been correctly included. In the "General" tab verify that "Use of devices" contain the parameter "enable". Go to "Levels" and move the sliders in the "Microphone" and "microphone boost" to max. Click "Apply" and test the microphone. To test the microphone you can use the standard Windows utility "Recorder" in the menu "start". Press record, say it, save and try to reproduce. In case of failure, try to set "Exclusive mode", which is responsible for the loudness of sound transmission. To do this, navigate to the sound settings and in the Advanced tab put a tick in the presented points. Test the microphone again. If again no result, try updating the controller driver. This can be done in the same sound settings in the "General" tab, click the Properties button next to "Controller". If this step did not give positive results, it is likely the case in the built-in microphone. 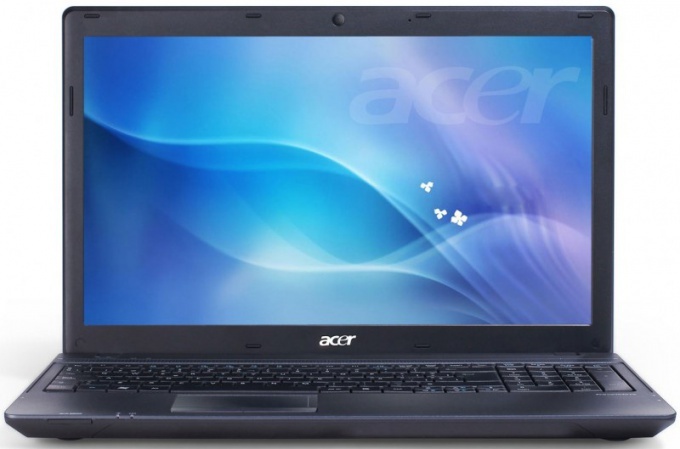 Contact customer service Acer. If the microphone of your laptop is faulty, and the warranty is not out, you must exchange the item for a serviceable.